Helping you prepare for a Happy and Worry-Free Retirement! 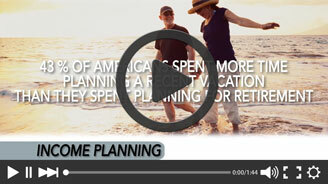 We are Retirement Income Planning Specialist. Our focus is helping people who are retired or nearing retirement to properly plan for the most important phase of their financial lives, “The Distribution Phase”. Our clients receive custom tailored investment and retirement income plans that brings peace of mind and confidence that they will be well prepared and can enjoy a happy and worry-free retirement. We provide full transparency and as a fiduciary are legally obligated to put our client’s interests first. They have access to both Institutional Money Management for long term growth potential and guaranteed income solutions that provide paychecks for life. Our goal is to help our clients achieve financial independence through education and the implementation of creative plans utilizing both investments and insurance* solutions. *Insurance offered through E.T.S. Financial Services, LLC. *Investment advisory services are offered by First Advisors National, LLC. 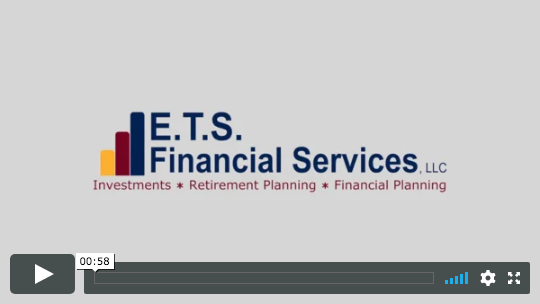 Eric T. Scoggins, CFP® is the founder and President of E.T.S. Financial Services, LLC. Eric is a Georgia nativeand after graduating from high school entered the Marine Corps. He is a Certified Financial Planner®, Series 65 securities licensed and holds both the Chartered Life Underwriter and Chartered Financial Consultants professional designations. Eric is passionate about community education and helping people gain financial peace of mind when it comes to their investments and retirement income planning. Since 1991 Eric’s vision has been is centered on empowering families to feel more confident and optimistic about their financial future. Eric and his wife Melissa have been blessed with two healthy daughters; Ashlynn and Makenzie. As well as being involved with many family activities, they count it a privilege to be members of their local church Corner-stone, in Jefferson, Georgia. All book sale profits go to iServeMinistries to feed the poor. 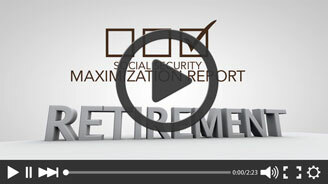 Our firm takes pride in providing comprehensive retirement planning services to our clients. Along with our team of strategic partners, we can review our clients’ wills, estate plans/trusts, taxes and insurance. Our comprehensive services integrate all aspects of our clients’ financial picture in a coordinated effort to provide for financial clarity and multi-generational wealth. These seminars are best suited for individuals with at least $250,000 in investable assets. 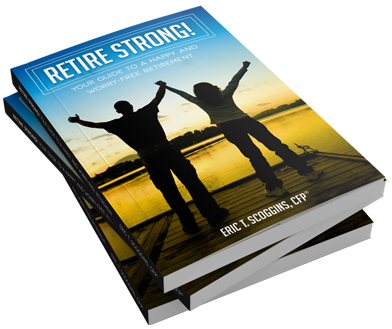 REQUEST A COPY OF "RETIRE STRONG! YOUR GUIDE TO A HAPPY AND WORRY-FREE RETIREMENT"
Melissa Scoggins is a Georgia native and proud mother of two beautiful young girls; Ashlynn and Makenzie. Melissa is Eric’s Executive Assistant and more importantly his wife. She assist with the day to day operations and plays an important role in the planning and overseeing of our Educational Workshops, Dinner and Client Appreciation events. She also helps out with client administrative requests and works with our Investment Management Firms. Michelle Klapatch was born and raised in Sarasota Florida but now calls Georgia home. She has over a decade of service and support experience in the financial services industry. In addition to maintaining the appointment calendar; Michelle assists with new business processing, and is both committed to and passionate about providing a world class service to our clients. She also ensures that our Dinner events and Educational Workshops are a successful and enjoyable experience for all who attend. Chris Bach is from Hoschton, GA and is passionate about serving and making a difference in the lives of others. Chris is an entrepreneur at heart having successfully ran two previous companies prior to joining E.T.S Financial. He has a very strong work ethic and commitment to education. Finding his passion in finance, he attended the University of North Georgia and earned his degree. Chris is Vice President of Operations at E.T.S. Financial Services, a firefighter and is currently pursuing additional professional designations. Chris also attended Truett McConnell College where he was the captain of the Men’s soccer team for two years. He married his high school sweetheart, Erin, and they have two active boys, Caleb and Carter. Our initial meeting is simply a very comfortable “get to know each other” session. This is an opportunity for us to listen and understand what’s most important to you and your family. It’s also an opportunity for you to gain a solid understanding of who we are, our core values and approach to Investment Management and Retirement Income Planning. We will discuss your financial goals, any concerns that you may have and what your expectations are in working with a financial advisor firm. This meeting is the first step towards building a long and fruitful relationship. In this meeting we will introduce and discuss several unique financial tools and strategies that may help to better accomplish your financial goals and objectives. 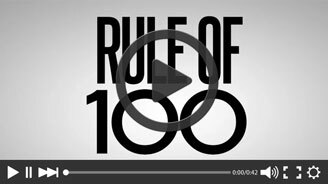 These tools and strategies are designed to protect our client’s assets during volatile times and down-market trends, while also capturing market gains during market uptrends. 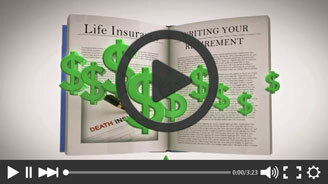 We will also show you what a “high-level” income plan looks like for your retirement. By the end of this meeting you will come away with a thorough understanding of what is either needed to accomplish your retirement income goals or the confidence that you have made it. Our team will prepare multiple plan options for you utilizing the tools that appeal to you most. Each plan option presented will achieve your stated Financial Goals, Risk Tolerance and Income objectives but with slight differences in the specific tools utilized. Collectively we will discuss and decide on which plan design fits you best, then the implementation process will begin. At the end of this meeting our goal is to give you the peace of mind that you can now lay your head on the pillow at night, relax and enjoy the journey knowing that you will be able to enjoy a happy and worry-free retirement. This is an exciting meeting as it is a culmination of many hours of analysis, collaboration and planning. Now you have a written Retirement Income Plan that will provide you with the peace of mind that you are well prepare get through retirement with confidence. Together we will review your plan again, answer any questions and deliver your “Personal Financial Binder”, that will help to keep you very financially organized. Retirement Income Planning is an ongoing “process” not an “event”. So, we will discuss our communication policy and commitment to continue to meet on a regular basis to keep your plan up to date as necessary throughout your retirement. We believe that The Quality of Our Lives Determines The Quality of Our Relationships. We believe in having fun. We believe in giving back to the community. All written content on this site is for information purposes only. Opinions expressed herein are solely those of First Advisors National, LLC. and our editorial staff. Material presented is believed to be from reliable sources; however, we make no representations as to its accuracy or completeness. All information and ideas should be discussed in detail with your individual adviser prior to implementation. Investment advisory services are offered by First Advisors National, LLC. a Registered Investment Advisor in the State of Georgia. Insurance products and services are offered through E.T.S. Financial Services, LLC. First Advisors National, LLC. and E.T.S. Financial Services, LLC are affiliated companies. The presence of this web site shall in no way be construed or interpreted as a solicitation to sell or offer to sell investment advisory services to any residents of any State other than the State of Georgia or where otherwise legally permitted. Eric Scoggins, CFP and E.T.S. Financial Services, LLC are not affiliated with or endorsed by the Social Security Administration or any government agency. This content is for informational purposes only and should not be used to make any financial decisions. Exclusive rights to this material belongs to GPS. Unauthorized use of the material is prohibited.